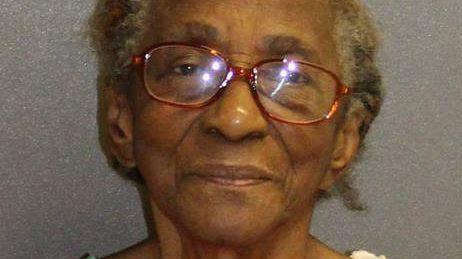 DAYTONA BEACH, Fla. -- A 95-year-old Florida woman landed in jail after calling police for help during an argument with her defiant granddaughter. Daytona Beach Police Chief Craig Capri tells the Daytona Beach News-Journal that Hattie Reynolds probably wasn't a threat, but her admission of slapping her granddaughter in the face with a slipper qualified as domestic violence. An arrest report says Reynolds told police Saturday that she wanted 46-year-old Janeen Williams out of her house because she was in bed soaking up the air conditioning Reynolds pays for. When Williams began screaming and swearing at her, Reynolds said she slapped her with the slipper. Police handcuffed Reynolds and took her to jail for the night. Records show a judge released her on her own recognizance. A lawyer wasn't listed on records.